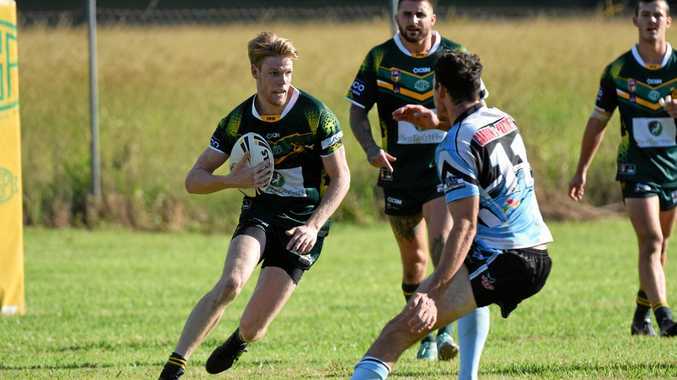 RUGBY LEAGUE: The Orara Valley Axemen have registered their first competition points for 2019 after overcoming a determined Woolgoolga Seahorses on Saturday. The Axemen had all the running in the first half, as Woopi lost a player to the sin bin early which was then compounded by a game-ending injury to fullback Chanse Perham. A converted try from fullback Liam Dunn along with a penalty goal gave Orara an 8-0 lead in the shadows of the break but Woolgoolga winger Corey Williams breathed life into the game by scoring after the half-time hooter. "I was a bit frustrated with the quality of our possession in that first half,” Axemen coach Col Speed said. Woolgoolga were able to build a 10-point lead in the second half so the Axemen had to go up a gear late in the game for victory. They were able to do just that, as centre Alex Wilson scored a minute before the final siren, leaving Dunn to convert the pressure kick for a 20-18 win. "We're one from two now and we have a lot of improvement in us.